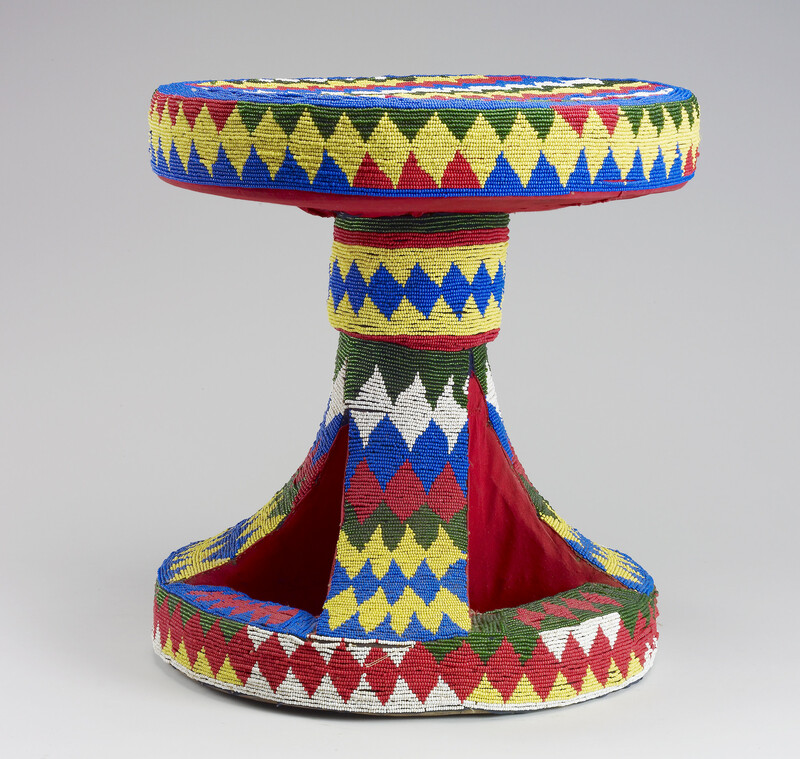 A stool with a circular seat and base covered all over with red, yellow, white and blue glass beadwork in a zig-zag pattern. The size and decoration of Cameroon's ceremonial stools symbolise the status of the individual to whom the stool belongs. The empty stool is also treated with respect when its owner is not nearby. During the nineteenth century, expensive beads imported from Europe were introduced into the designs, making the finished design even more impressive.